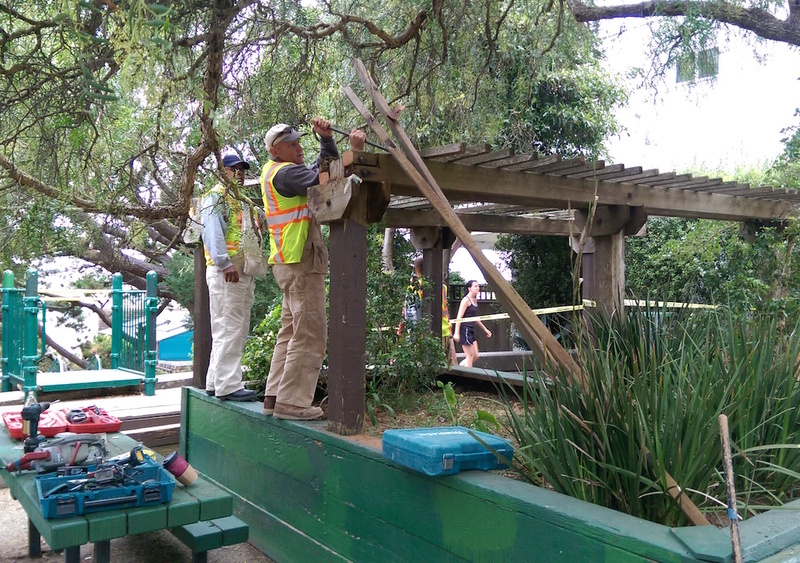 Although we were warned this would happen, and although funding is now in place to provide for replacement, this is still a tough sight to see: Yesterday workers began removing the decaying trellis from the Esmeralda/Winfield Mini-Park. While we await more detail on plans to replace the trellis, we can also begin moving through the Kübler-Ross Stages of Grief and Loss. (Current status: Bargaining). NOT SO FAST! The funding is NOT in place. 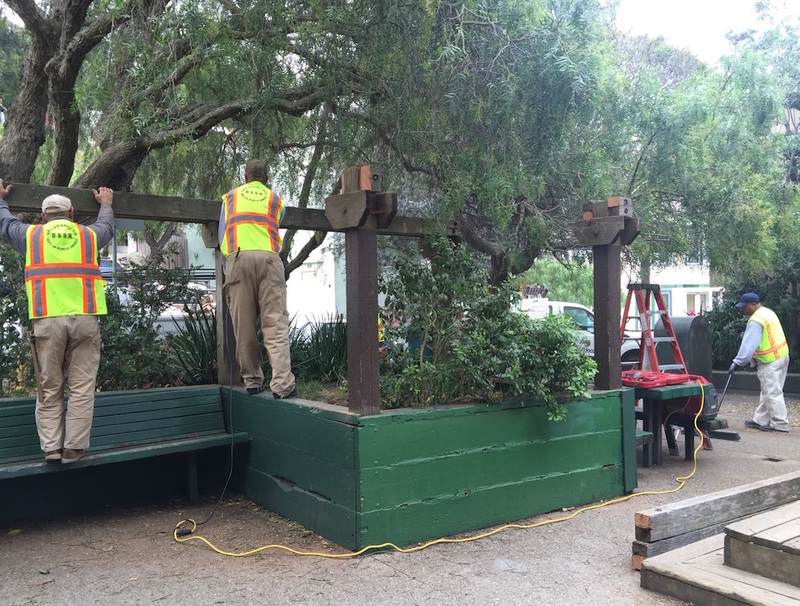 We are working with the city to get an estimate to replace the trellis AND the planter box AND the benches—all of which cannot be replaced individually because of the design of the structure. We will keep Bernalwood informed. It ain’t over ’til it’s over!